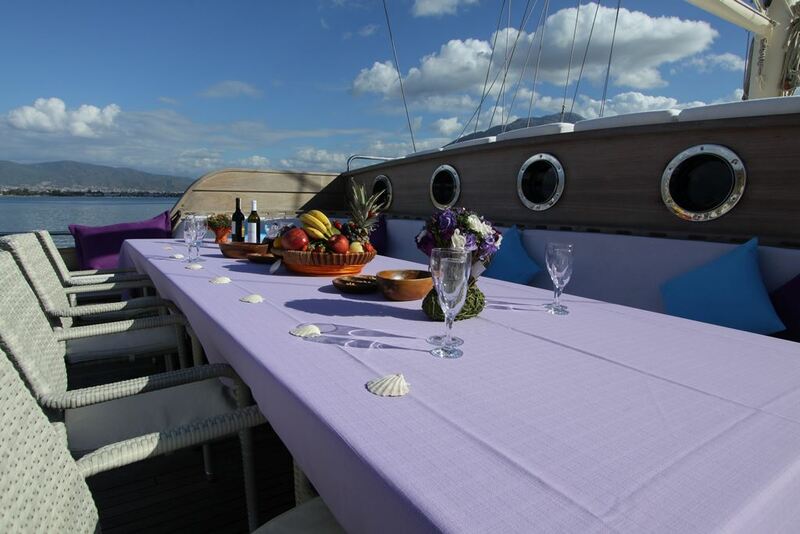 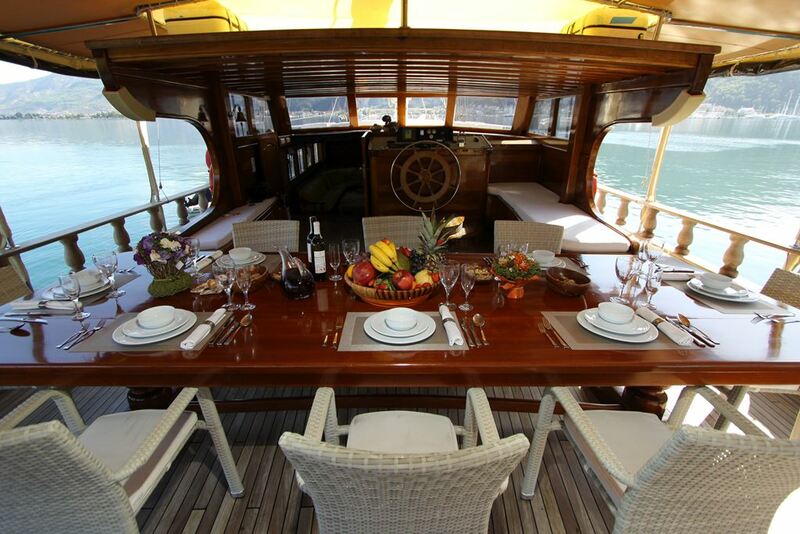 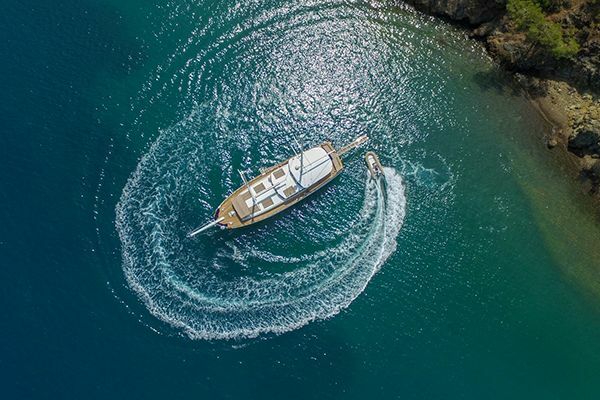 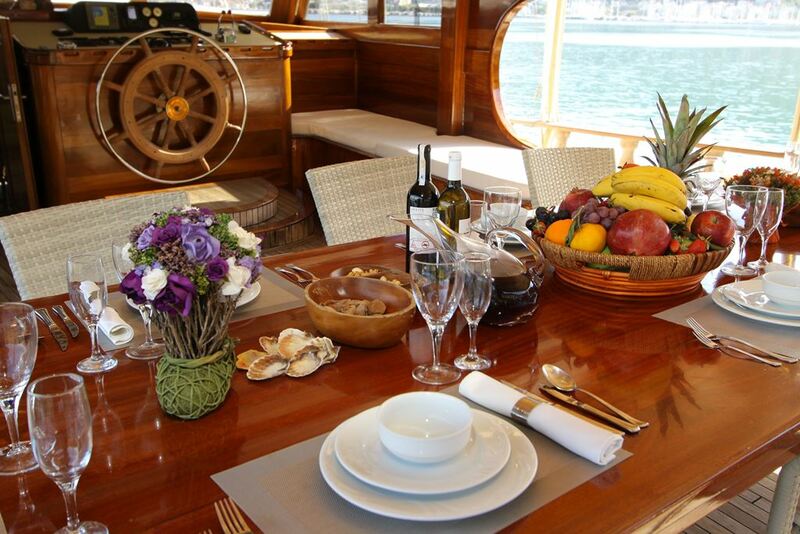 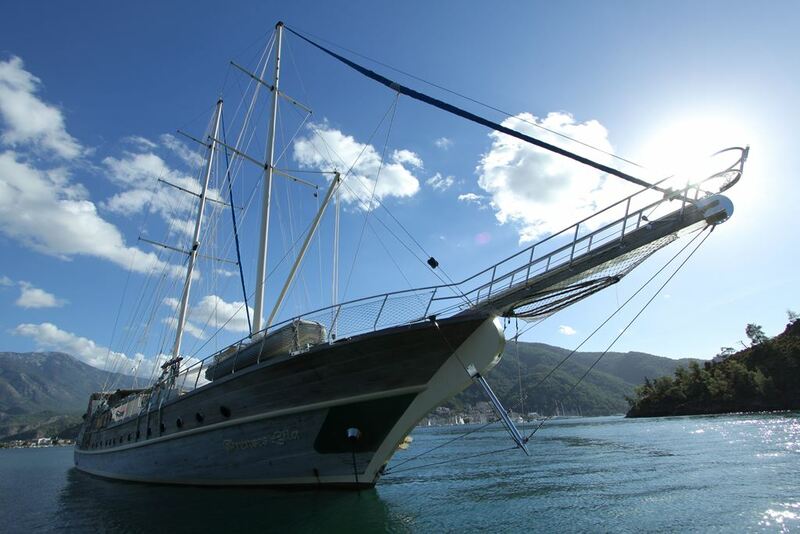 Prenses Lila is the popular 35m luxury gulet ketch which has brought a high standard of design and comfort to crewed yacht rentals for discerning larger groups who want to enjoy a classic boat charter holiday in the East Mediterranean. 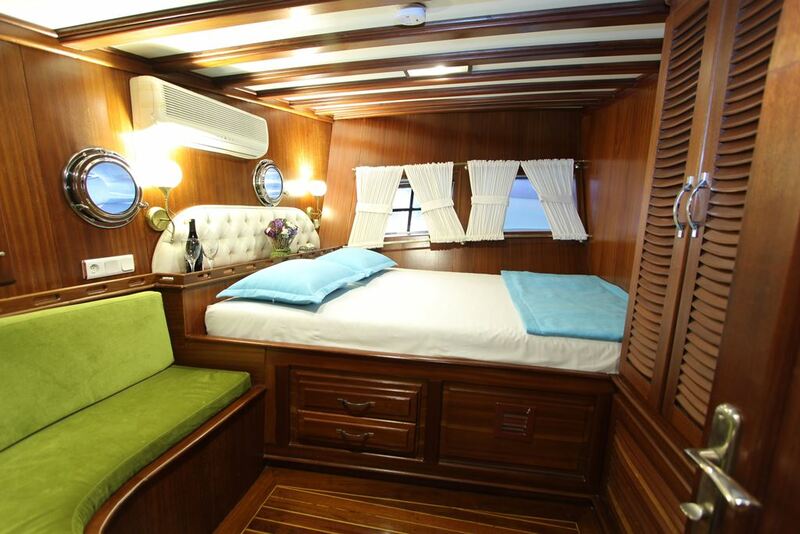 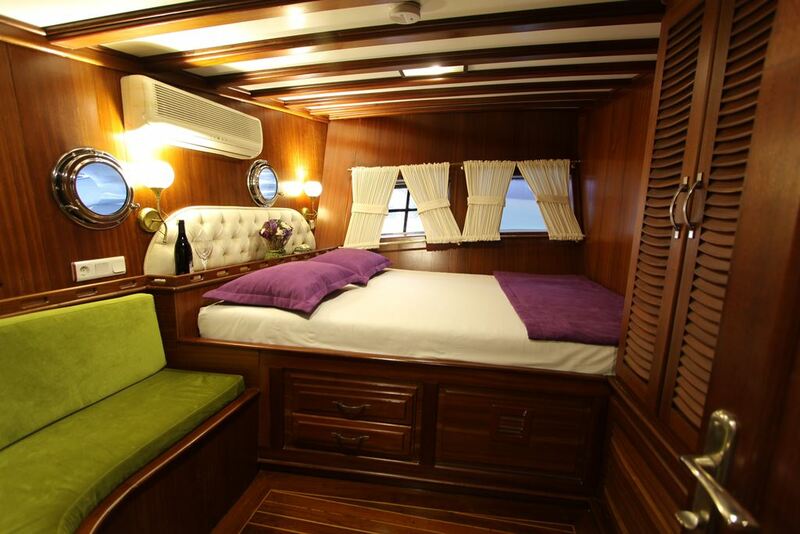 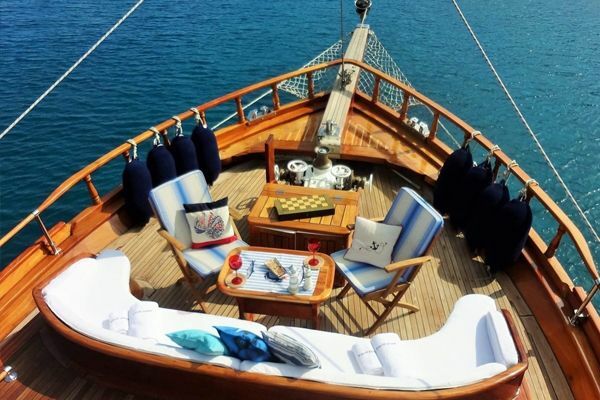 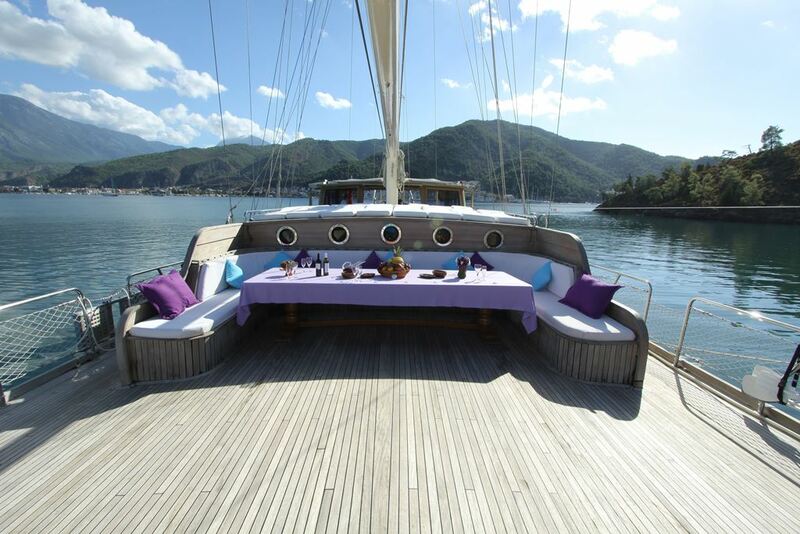 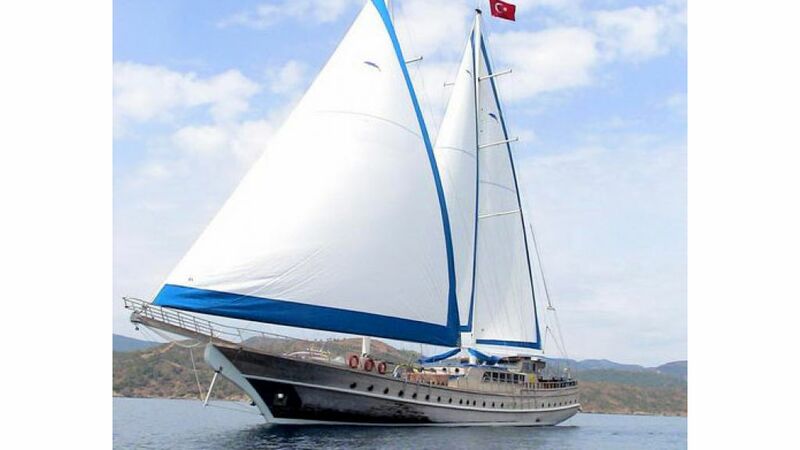 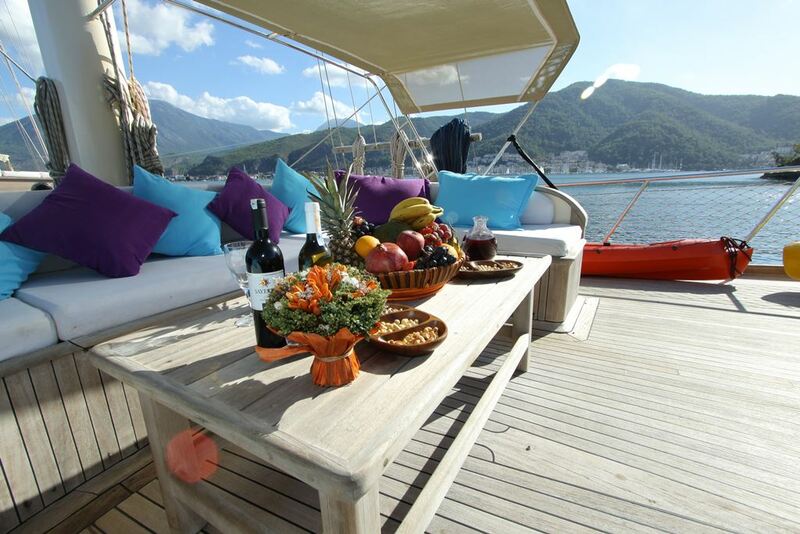 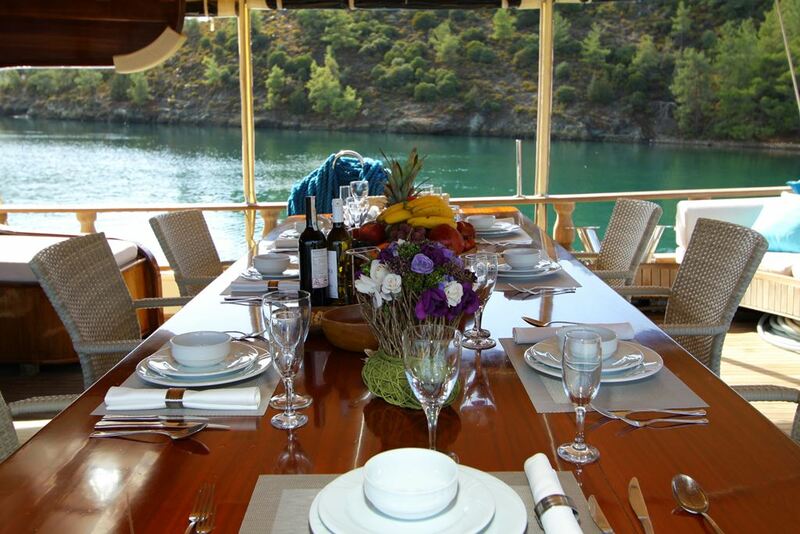 Turkish gulet Prenses Lila can entertain sixteen to eighteen guests in eight generous sized well-appointed cabins with ensuite bathrooms, where six cabins have double beds and two cabins are fitted as a double bed plus a single bed cabin offering the opion of twin or triple accommodation. 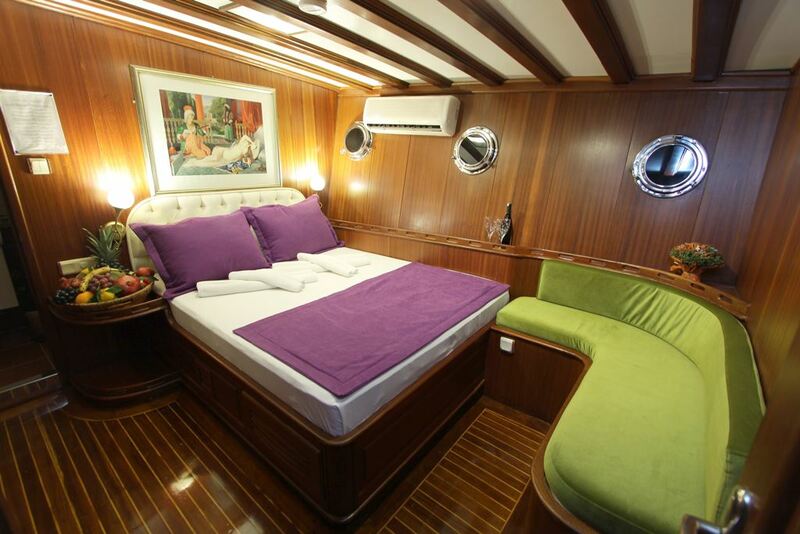 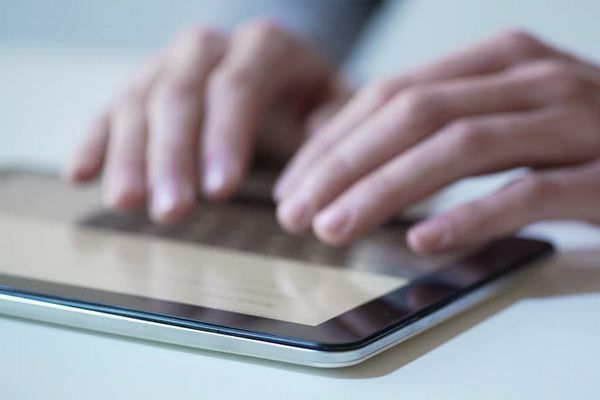 Air-conditioning is available at night to ensure all guests enjoy comfort. 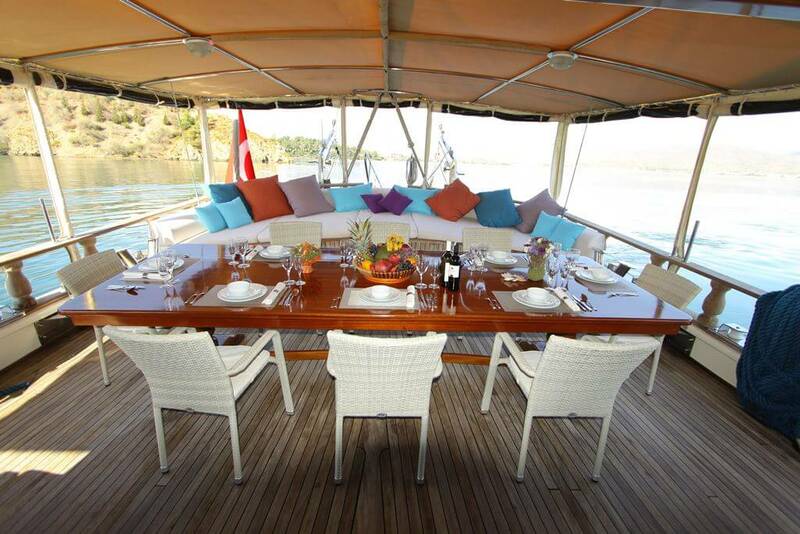 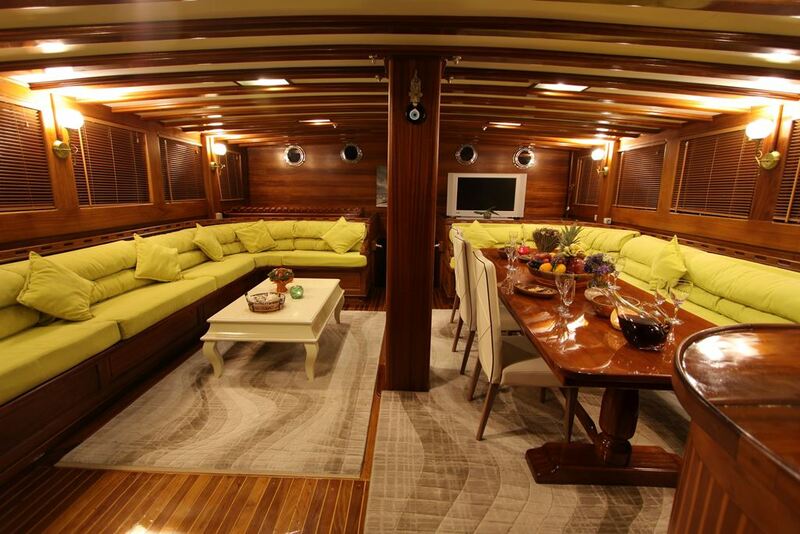 On the single level open deck, there is space galore with two large dining tables fore and aft, plus a third couch bench for sunset drinks up front at the bow. 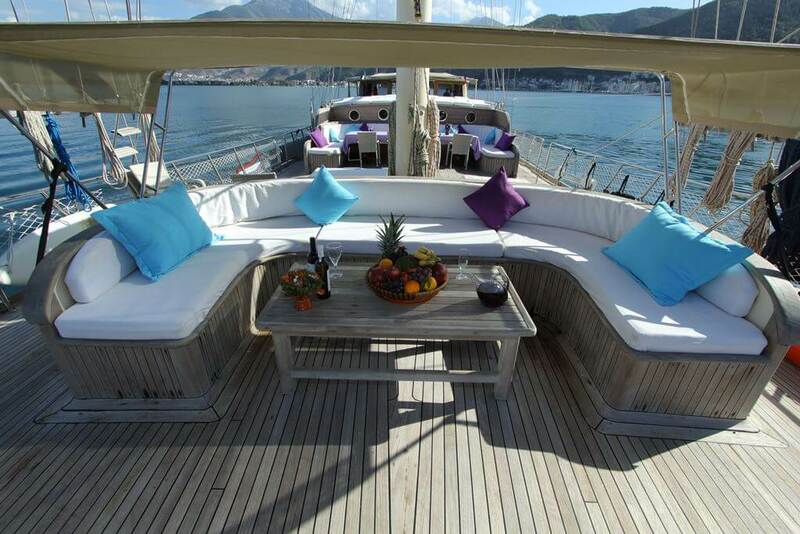 Lounging cushions abound, and personal sunbeds or beanbags are laid on. 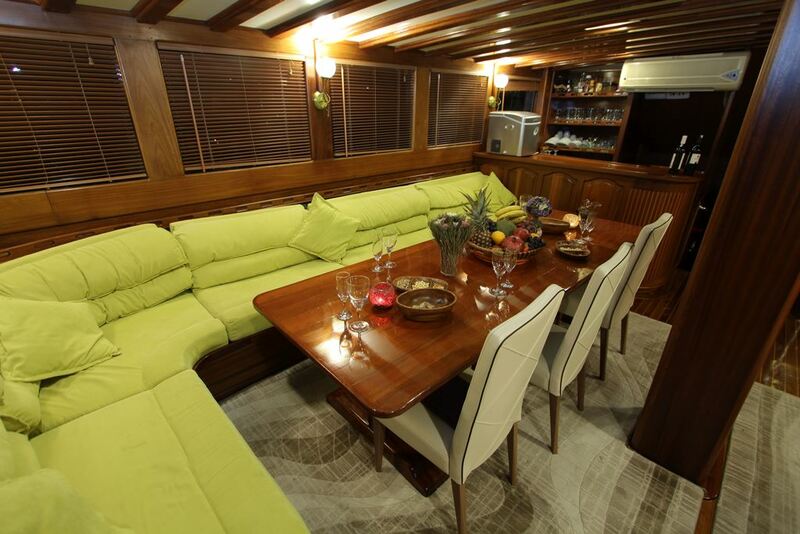 The air- conditioned saloon allows space for both a third large dining table, and more comfortable banquette seating where the TV/DVD and music system can be enjoyed at leisure. 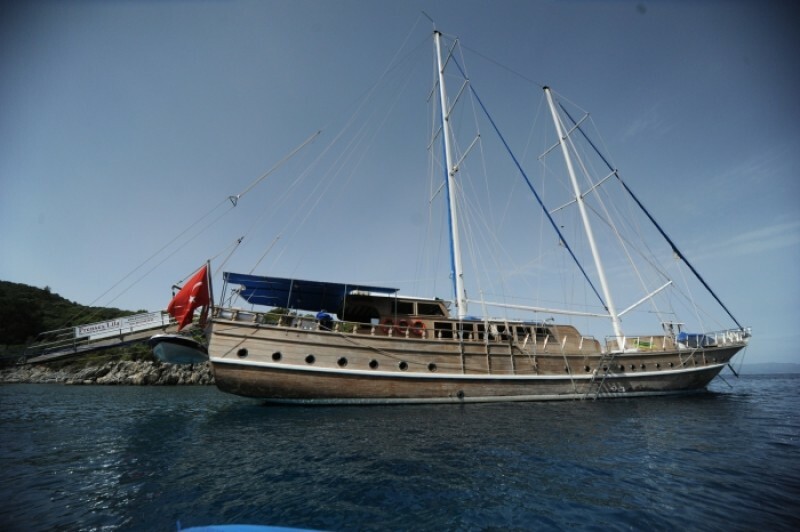 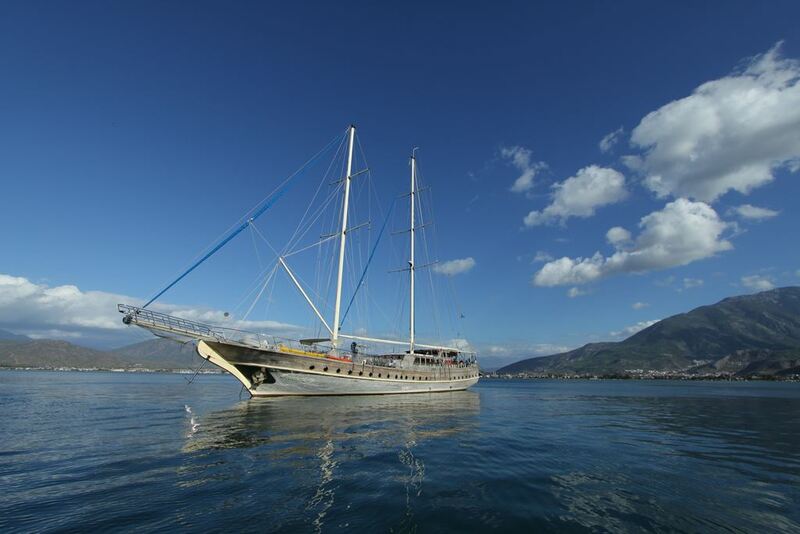 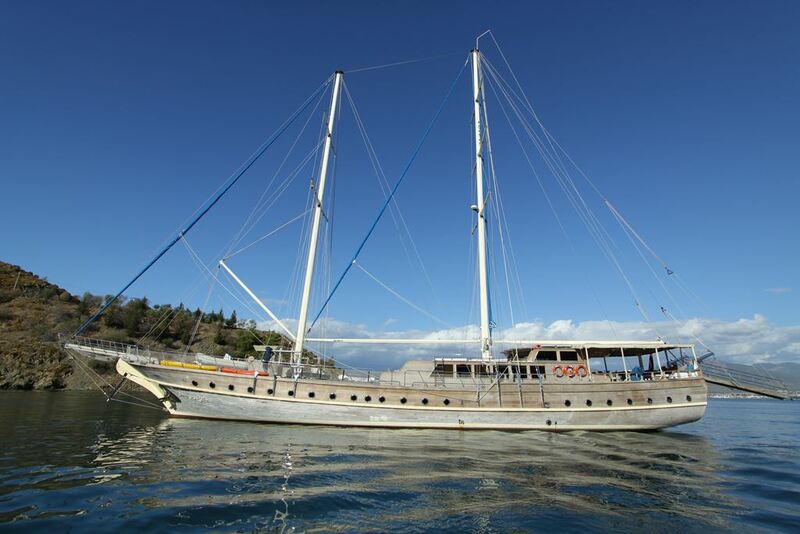 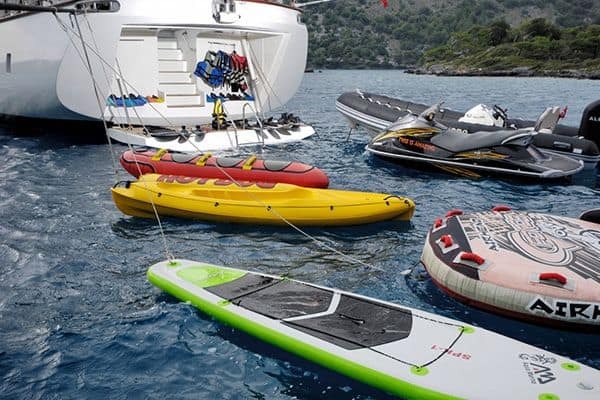 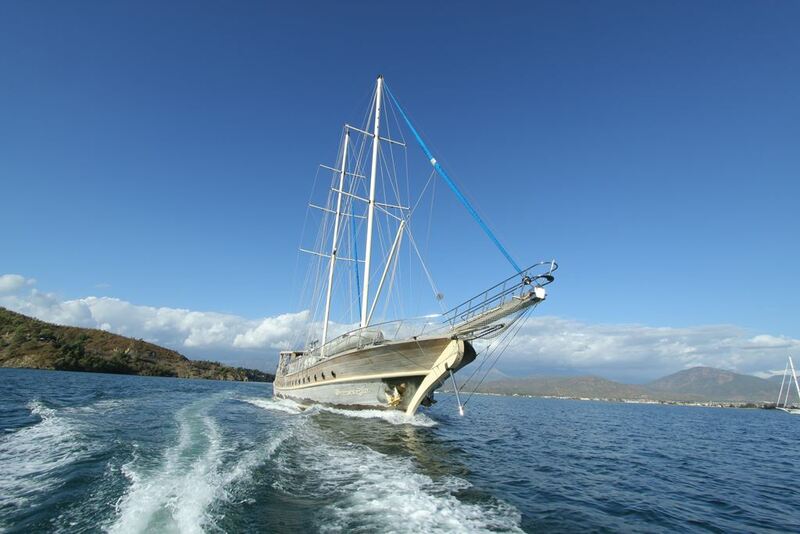 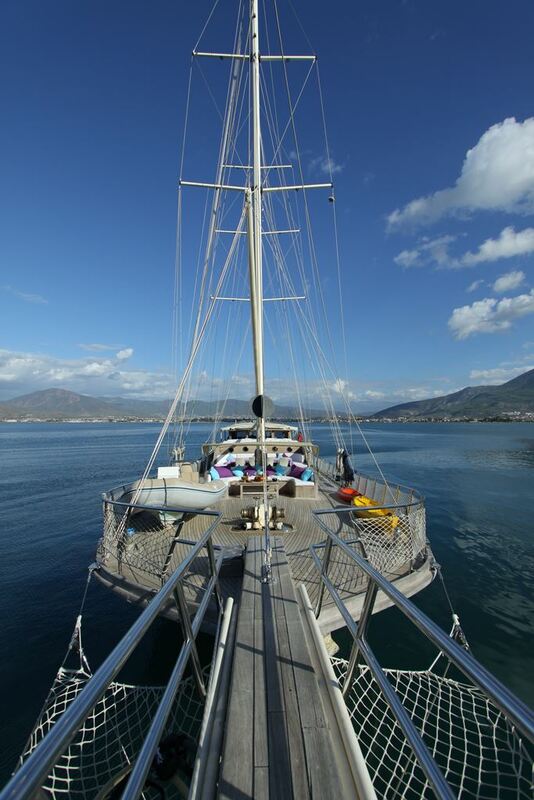 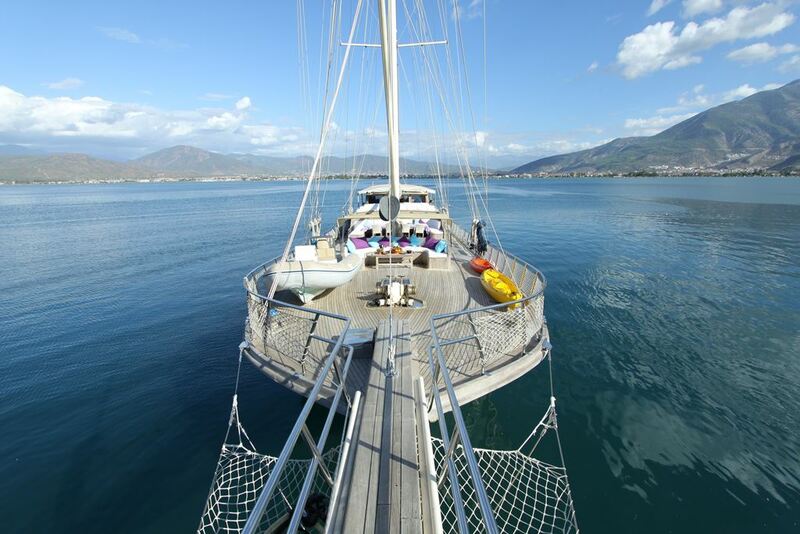 The sails can go up to make a cruise according to the good weather conditions on the gulet Prenses Lila , while the canoes and snorkels, and the extra optional water toys, make every anchorage a playground. 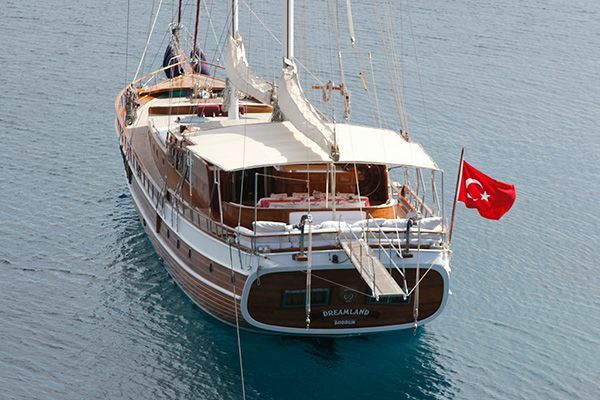 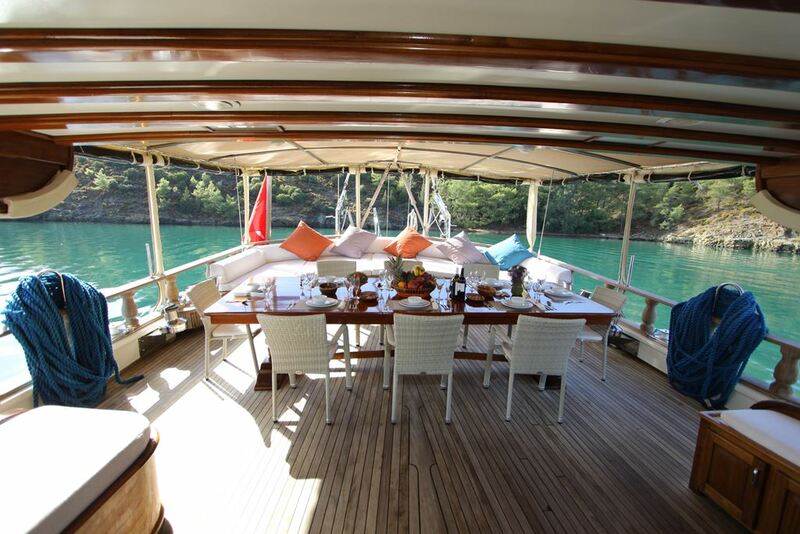 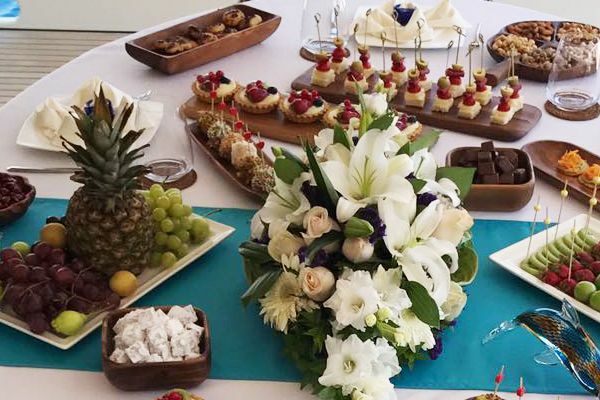 The crew of captain, cook and two sailors will go all out to make sure your gulet holiday along the Turkish coast, or island hopping in the nearby Greek Islands is memorable.